Spells, like many things in life are the kind of thing where the more you put in the more you put out. The power from your intent is what makes the spell work, but by having the right Wiccan or Pagan supplies, or magick accessories, such as candles and incense in the correct colours and fragrances, you can focus your intent and make the spell much more powerful. There is no set formula to create the perfect spell, whether you are a Wiccan, pagan or other magick user, its important to go with intuition and be creative. In this free handy guide about how to do a spell, there are plenty of tips to give you inspiration, I’ll tell you some of the best ways I’ve found to cast a spell and how to make them work! Firstly pick a day of the week to do your spell on, different days of the week have different significations. As with any of these steps if you haven’t got a choice of what day to do it on, it doesn’t matter, just follow as many of the steps as you can. Associations: Agriculture, beauty, hope, victory, self-expression and creativity. If possible get some gemstones or crystals for the spell, crystals are powerful objects that can really help you to focus your energies and increase the power in your spell. By holding one in your hand whilst concentrating on sending and receiving energy between you and the crystal, you can create a powerful object and great assistance for your Pagan, Wiccan or other Magick spell. 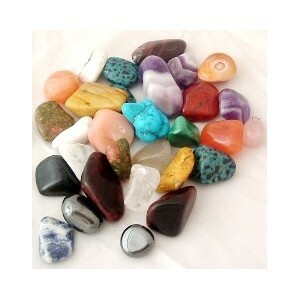 Take a look at my specialized crystal pendants that are useful as talismans and charms. These crystal pendants are made for different purposes such as helping your career, love life, finances and even health. Crystal pendants are good lucky charms that you can wear wherever you go! Come and take a look. Next you need to see what the cycle of the moon is, as the way you create and write a spell depends on whether the moon is waxing or waning. If for instance you were doing a love spell when the moon was waning you might banish those things that were stopping you from finding love, like lack of confidence or nerves. If the moon was in the waxing phase – ie getting bigger you would try and use attraction principles, e.g. attract beauty to you or attract situations for you to meet the perfect person, and of course attracting love! If the moon is waxing (ie getting bigger) you want to think in terms of attracting things into your life, be it happiness, confidence to help you meet someone new abundance, a new job or whatever. If you quickly want to know what phase the moon is at and when it will be a full moon or a new moon, (which means when the moon is barely visible, at its smallest point.) you can. Check out this page to see the correct phases of the moon. The moon power is strongest at the time of the full and new moon so these times are ideal for a spell..
Brown – Protection of Animals, Earth Magick, Stability, Nurturing & Grounding. You can use this colour to pick your candles, the clothes you wear and any accessories for the spell – the more of these things you gather, the more potent your spell will be! Gazing at candles can be great for doing a meditation to focus your mind and concentrate your powers. Wearing the right clothes can help get you in the mood! Smells are an exceptionally powerful way of invoking different states of being in a person, hence why aromatherapy is a proven way of healing, easing and helping with things like anxiety and sleeping. Smells like Ylang Ylang are sensual and ideal for a love spell, Lavender is excellent for calming nerves. Take things from nature where possible, oils are absolutely fine too and great to put in a burner – use soapstone for best effect! Why not take some herbs from the garden or your local supermarket. Dried herbs can be used as well, mixing them perhaps with holy water and anointing yourself. OK so you’ve got all your ingredients, now you need the words. Ideally writing your own spells is best as it puts more effort in and you get more power out. Plus you can tailor it exactly to your needs, and choose which Godlessness, Gods, Spirits and other deities and elements you wish to invoke. Try meditating in front of a candle and lighting some incense to inspire you. 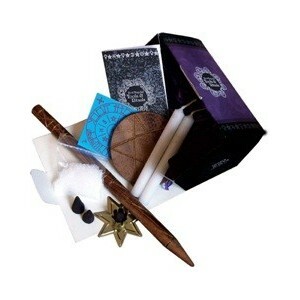 But if you really feel you don’t want to, or you’d like to get inspiration from an existing spell, check out my spell kits. These are great also if you don’t have time to collect the necessary ingredients as it comes all in one handy pack! 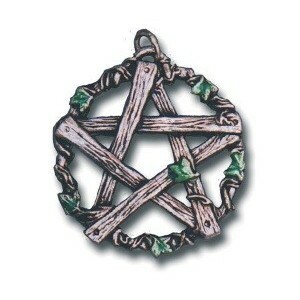 If you are wanting to do a spell for prosperity, take a look at my free Wicca money spell! Congrats your almost ready to perform your spell! Good luck in your spell creating! As always, everything I write is just a guide, do what feels right to you! I welcome any thoughts or additions so please add your comments! Thanks so much Michael, I really appreciate your kind words and so glad you like what you read!